TL; DR: Founded nearly two decades ago, RoseHosting became the first company in the industry to offer its customers access to commercial Linux virtual servers. Today, the host continues to set itself apart from the competition by delivering enterprise-grade hosting solutions with a focus on hands-on support to thousands of global organizations. 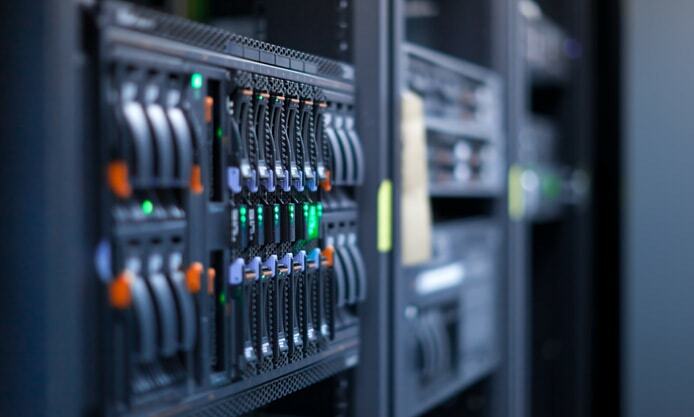 Through its powerful datacenter located within 100 miles of the US’s population center, RoseHosting’s low-cost, high-performing VPS, dedicated server, and cloud hosting solutions are helping businesses around the world power their web applications and turn profits online. Sitting in St. Louis in 2001, Bobi Ruzinov knew the pickings were slim when it came to hosting options available to customers. The hosting industry was just starting to grow up. But, from Bobi’s perspective, it wasn’t happening quickly enough. Bobi saw the writing on the wall and figured it was time to start offering Linux virtual servers to stand out from the standard offerings of the local hosting market. So he put a team together and founded RoseHosting. Founder Bobi Ruzinov told us how RoseHosting has been delivering top-tier hosting and support for nearly 20 years. In June 2001, RoseHosting went public with its services. As Bobi told us, customers were very disillusioned by the significantly higher prices for dedicated servers at the time, and RoseHosting provided the necessary middle ground. Over the years, RoseHosting evolved with the changing technological landscape and now powers the sites of thousands of organizations worldwide with top-tier VPS, dedicated server, and cloud hosting solutions. But it’s not just the host’s industry-leading hosting plans that are grabbing the attention of these businesses. RoseHosting is customer-focused and dedicated to zeroing in on exactly what’s necessary for a modern organization to succeed in the competitive online business space. RoseHosting offers a number of different hosting services for organizations based on size and need. The company’s shared hosting plans are a perfect place for emerging online businesses to get started. These plans offer advanced functionality with a graphical user interface and control panel that is accessible through a web browser. Support is available 24/7 with normal response time for tickets in just a few minutes and for live chat instantly. Free weekly backups are included for faster and more efficient disaster recovery. Clients also get unlimited DNS hosting and enterprise-grade SSDs with 10 times higher disk I/O performance. RoseHosting was the first company to offer Linux virtual servers and now offers solutions for any business need. For businesses that have outgrown the shared hosting environment, RoseHosting makes it simple to migrate to its virtual private servers. The host’s Linux VPS packages are fully managed, meaning customers not only get all the services with the shared plans, but are also provided with help configuring servers, installing software, and monitoring the health of the virtual environment. For its Custom VPS, RoseHosting offers free items, including 512MB of RAM, 10GB of SSD storage, 1 CPU Core, OS Template (CentOS 7), and 1TB of bandwidth. RoseHosting also offers an affordable line of dedicated server packages for businesses that need to maximize the performance of their web applications while handling huge traffic demands. The company’s dedicated servers are run on the Linux distribution of their choice and are fully tested before installation. Companies can get running on these servers within three to five business days. Once set up, users enjoy 24/7 monitoring and a web-based remote reboot feature at no additional cost. Not all business missions are the same, and a company’s needs can vary greatly from one organization to the next. Bobi told us the team at RoseHosting is aware of this, which is why the company designed its virtual servers to be tailored to a wide range of use cases. As a result, RoseHosting’s most popular product offering is virtualization, according to Bobi. And most customers take advantage of the hybrid approach virtualization can offer. RoseHosting’s virtual machines can be customized and allow clients to take a hybrid approach to infrastructure. Bobi told us most of RoseHosting’s customer base is made up of small- and medium-sized businesses that run one to two virtual machines. He said one is sometimes used for testing purposes and the other for production. Businesses can also take advantage of the isolation VMs provide and employ one for user interface and another for a database. Even though RoseHosting offers clients top-quality virtualization options that usually come at a higher price point, the company works hard to avoid the oversell. Instead, Bobi told us the #1 quality RoseHosting is sure to advertise is efficiency. The nearly two decades in operation have given the company a unique vantage point to know what its customers need and what’s effective. With this stable customer faith, Bobi told us RoseHosting’s retention rates are sky high. Although RoseHosting’s services may appear expensive at first glance, the feature set and level of expertise at customers’ disposal are hard to beat in the industry. According to Bobi, sticker shock shouldn’t be a deterrent for companies that want to succeed in today’s digital-centric business environment. From the beginning, RoseHosting’s goal was to provide the best managed service and unbeatable support to its customers. This level of service is incorporated into every plan the host offers without exception. RoseHosting delivers a combination of stellar hosting services and top-notch, hands-on customer support. When it comes to troubleshooting customer problems, RoseHosting maintains its code of efficiency. According to Bobi, this is a result of its team’s less-than-five-minute response time to issues and questions via RoseHosting’s different channels. Bobi told us RoseHosting’s tech support helps solve technical issues, but one of the main benefits is a positive impact on bottom lines and operational costs. So, even if customers are paying a few dollars more for hosting services, the ROI is significant. “At the end of the day, what it boils down to is big savings due to lack of need for additional resources, their own support personnel, and the high uptime guarantee,” Bobi said. Now that RoseHosting has nearly two decades under its belt, the company is seeking to forge ahead with new service options for its customers while avoiding ineffective and passing fads. Bobi sees cloud hosting as one of those fads. While many in the industry are turning to the cloud, he predicts that managed VPS services are really the wave of the future. RoseHosting still offers cloud hosting, regular virtual servers, and KVM virtualization since there is a current demand, and Bobi said the company is planning to continue to do so in the foreseeable future — but with a major difference. To ease the setup process for some clients in an all-in-one platform, RoseHosting has rolled out One-Click Install (OCI) cloud hosting. For customers wanting an even faster response from support services, RoseHosting is also starting to introduce a VIP support service. Customers with the VIP support option will have tickets boosted to the top of the ticket queue.